They are the ones who set the ball rolling on projects, forge coalitions and conjure up a film out of an idea. Film producers are increasingly looking past their national borders. In order to facilitate an exchange with similarly ambitious colleagues from other European countries and showcase their range of achievements,European Film Promotion(EFP) offers a platform for networking to carefully selected producers. The programme PRODUCERS ON THE MOVEis now in its 14th year at the film festival in Cannes. 29 producers from 29 different European countries will take part in the event from 18 to 21 May, 2013. The Republic of Kosovo* and Montenegro will both be represented for the first time this year with a producer. Financial support for the project, which sees new trans-national co-productions being developed each year, comes from the MEDIA Programme of the European Union and the participating EFP member organisations. 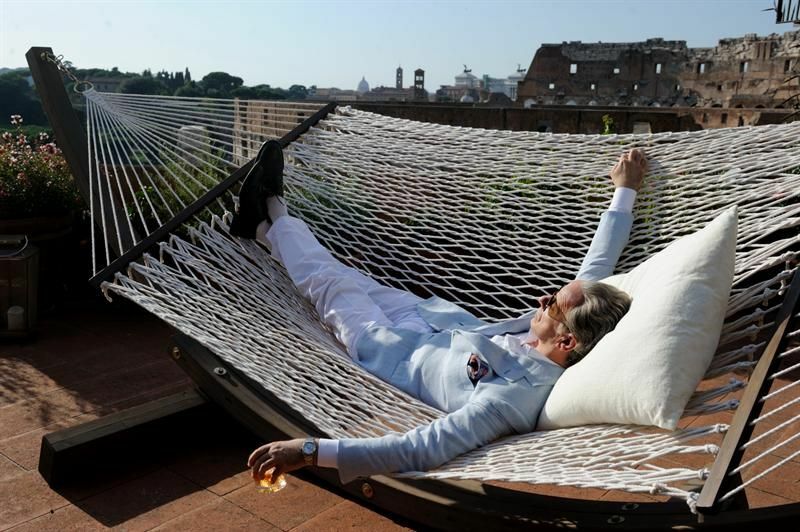 Some of the 2013 PRODUCERS ON THE MOVE will be seen with their films in one of the sections of the Cannes Film Festival: Italian participant Viola Prestieri (Buena Onda) has executive produced The Great Beauty by Paolo Sorrentino which will be screened in Competiton. Furthermore she has produced Honey by Valeria Golino to be seen in Un Certain Regard. UK participant Andrea Cornwell (Lobo Films Ltd) produced (through Qwerty Films) The Last Days On Mars by Ruairi Robinson which has been selected for the Directors Fortnight. Looking back at the 2012 edition of PRODUCERS ON THE MOVE, almost all of the producers are still in contact with one another to follow up on ideas. 17 from last year's 25 participants (68%) are already working on 15 co-productions. The idea was born at PRODUCERS ON THE MOVE in Cannes two years ago. Now the co-production deal is signed. The 2011 programme's participants, Lukasz Dzieciol (OPUS FILM, Poland) and Jesper Morthorst (SF FILM PRODUCTION, Denmark), join forces for the co-production The Word. It is a story about two teenagers in love, who commit a terrible crime in order to prove their love to each other. The film will be directed by Anna Kazejak and shot in the Polish language. The shooting is scheduled for 29 days to run from June 24th in Poland and come for one day to Denmark. Postproduction will be done in Denmark, including editing and sound design to be handled by Kristian Eidnes Andersen (The Hunt, Melancholia). Funding from both the Polish Film Institute and the Danish Film Institute has already been confirmed. The group of former participants includes such internationally known and award-winning producers as Ada Solomon from Romania (Child's Pose), Bettina Brokemper from Germany (Bal), Louise Vesth from Denmark (Melancholia) and Siniša Juričić from Croatia (Sofia’s Last Ambulance). Scheduled during the Cannes International Film Festival, the programme provides its participants with an additional visibility they get at this melting pot for filmmakers, sales agents, financiers and the international media. PRODUCERS ON THE MOVE's schedule with pitching sessions, one-on-one speed-dating meetings and various opportunities to build up business relationships and to exchange knowledge enables the selected filmmakers to return home with advanced film projects and, sometimes, with a co-production deal. At the Producers' Lunch, they can, moreover, get in contact with participants from previous years. The emerging and independently working producers are selected by EFP member organisations from the respective countries. The participants have already realized joint European film projects which were noticed on the international radar, but they still are on their way to becoming international players. Many of them produced feature films as well as documentaries, and some are additionally active in the field of animation films. For the fourth time, EFP will be cooperating for PRODUCERS ON THE MOVE with the pan-European co-production fund Eurimages. *This designation is without prejudice to position on status, and is in line with UNSCR 1244 and the ICJ Opinion on the Kosovo declaration of independence.